Submitted for your consideration is this Mid-Century Arriflex German Made Professional 16mm Motion Picture Camera. 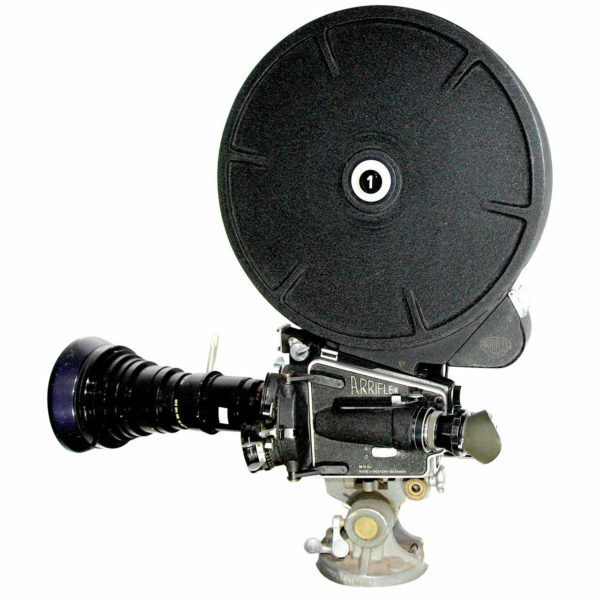 The famous Arriflex Camera Company pioneered Cinema Cameras in the 20th century and this model was known for very fast film loading and an optional large film magazine capacity for long continuous filming without stopping the camera. this cane in handy in shooting from a small plane or helicopter where quick mag changes were critical. 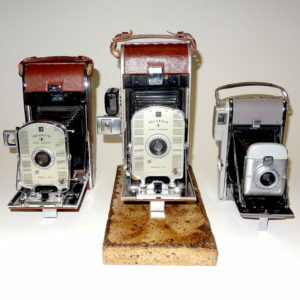 The camera is complete with factory supplied motor, zoom lens, 1200′ film magazine. Tripod head (shown for display only here) or legs are not included, but many choices are available at extra cost. 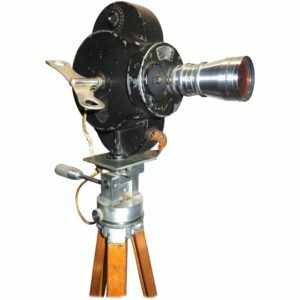 A very nice Mid-Century Artifact of 16mm professional filmmaking that will make a superb display for home, office or studio.